About 5 percent of asthma patients suffer from frequent and severe sudden chest tightness that disrupts breathing, often leading to an emergency room visit and hospitalization. The condition can best be monitored and treated in a clinical setting, but that’s not where asthma patients live their lives. The challenge is to bring the sophistication of the clinic to asthma sufferers in their everyday lives and activities, because anywhere and anytime is where and when asthma attacks occur. 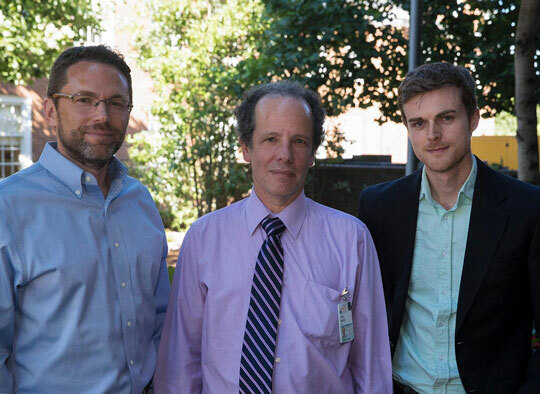 University of Virginia engineering professors Daniel Quinn and John Lach, working with UVA asthma physician Dr. Larry Borish, believe they have found a way to do this. They are developing and testing innovative sensor systems that, once fully designed and implanted in a patient’s trachea, should help detect sudden asthma attacks before they happen, allowing for quick preventive medicative treatment by the sufferer on site, wherever that might be: in the home, on the road, or even on a playing field. 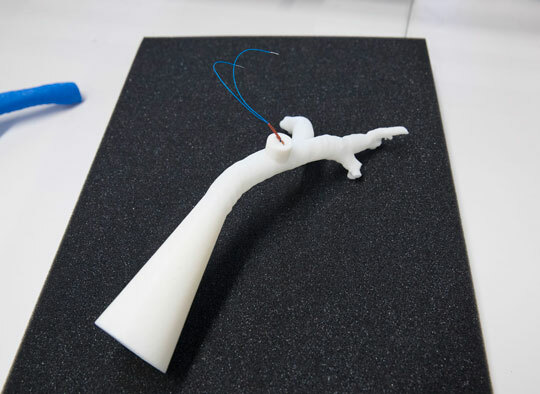 The UVA team is exploring the feasibility of using a small implanted sensor to internally monitor airflow in people with asthma, while also harvesting the energy from the patient’s breathing to power the sensor without need for batteries, which can fail and periodically need replacement. The technology is innovative in that it would work continuously in the everyday environment. This would be much safer for the patient, less costly, and often would avert the need for trips to the hospital.